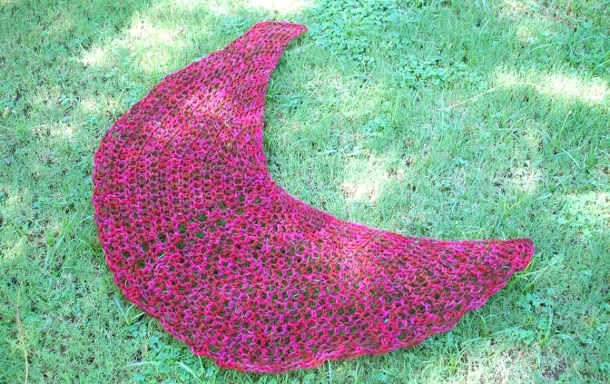 All too often, designs crocheted with bulky yarn can turn out thick, chunky, and even stiff. 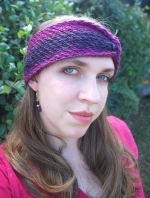 By using a large hook, though, bulky yarn is transformed into something light and lacy that loses none of its coziness. 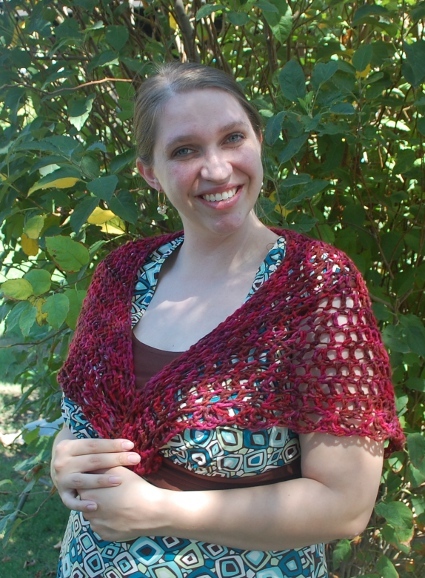 Only a single skein of yarn and basic crochet stitches are needed to create this sweet shawlette, making it a great gift. You could always make one for yourself, though, and why not? 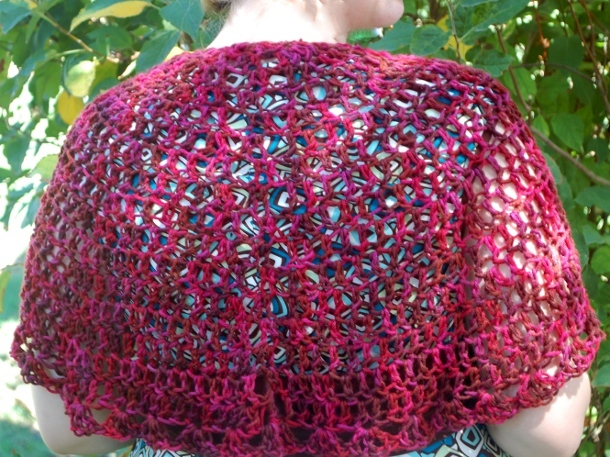 It’s fast, easy, and it feels as light as flower petals wrapped around your shoulders. Row 1: Ch 3 (count as dc throughout). In 3rd ch from hook (dc 2, ch 1, hdc 2, ch 1, dc 3). (10 sts) Turn. Edge: Ch 3, make 2 sc in same st. [Sk 2 sts, (dc, ch1, dc, ch1, dc) in next st] until 3 sts remain. Sk 2 sts, make 3 dc in last st. Finish off. Wash and block to open lacy pattern. I can’t wait to give this a try. Very beautiful. Thanks so much! I donate the prayer shawls I make to our church and the pastor makes sure they go where they are needed in the community. I appreciate your letting us use your pattern for free. God Bless!